Most car buyers aren’t too concerned about emission levels when choosing a vehicle, and more than half say that cheap running costs are the most important factor when making a decision, according to a new survey. The research by the National Franchised Dealers Association (NFDA) found that more than six in 10 buyers relegated emissions concerns to bottom of the list when they were car shopping. Knowing what drives customers when buying a car is always useful when you are running a dealership business. However, it’s also important to make sure you have the right motor trade insurance for your business. If you offer test drives, it’s also worthwhile looking at demonstration insurance to make sure you are adequately protected. The National Franchised Dealers Association report was carried out to find out what buyers thought of the services provided by dealers and also to dig deeper into their motivations when buying a vehicle. 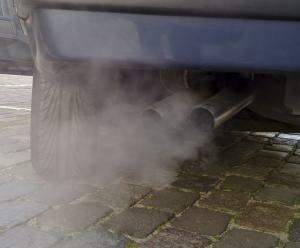 Sue Robinson, the Association’s director, was surprised by the findings on emissions, because this not only effects the environment, it also affects how much tax the driver will pay. She said the findings showed a “clear disconnect” between what the industry considered important and what drove buyers: "The industry, in the wake of recent news, has focused on improving the consumer’s understanding of emissions. She said the findings were “worrying” and were not what the survey had expected to find. The Association is now looking at how members can carry out work to educate buyers about the importance of vehicle emissions, as well as other issues affecting the vehicles they are interested in.